Want to know the truth? Despite how cool I pretend to be, I go bonkers when I see glitter. I love the stuff and would really like to decorate everything with it. 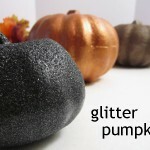 Luckily, with the help of massive self-restraint, I keep my glitter projects down to once a year. 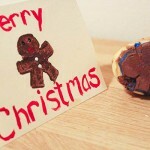 Here’s a simple Christmas craft that takes no time at all. It also costs less than $15. This is a really easy project. First, lay down newspaper or something. We used a Gap bag. You won’t be sorry. Then, take your cone and completely cover it in the adhesive spray. 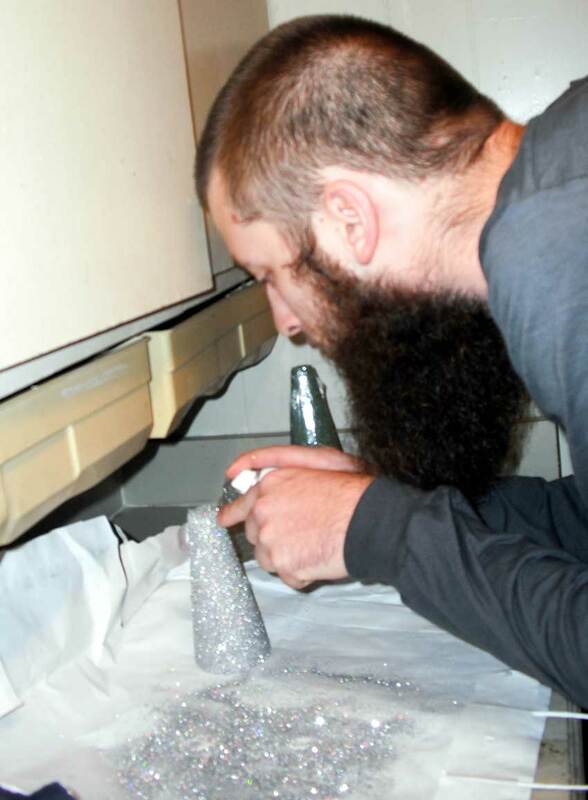 Next, quickly pour the glitter over the entire cone, except for the base. 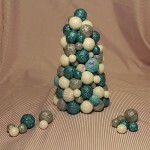 You can also try rolling it in the recaptured glitter that fell off of the cone. After the cone is completely covered, spray it again with the glue and set it aside to dry. 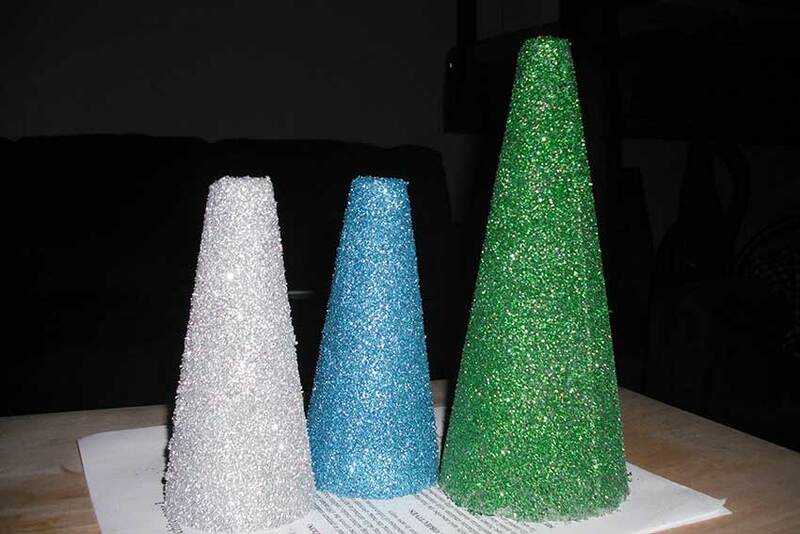 Once it’s dry, you can try the spray glue and glitter pour again to make sure you’ve got the entire cone covered in glitter. Finish it with a final glue spray and let dry. I’ve seen these cones stacked on candle holders to give them a more tree-like base. 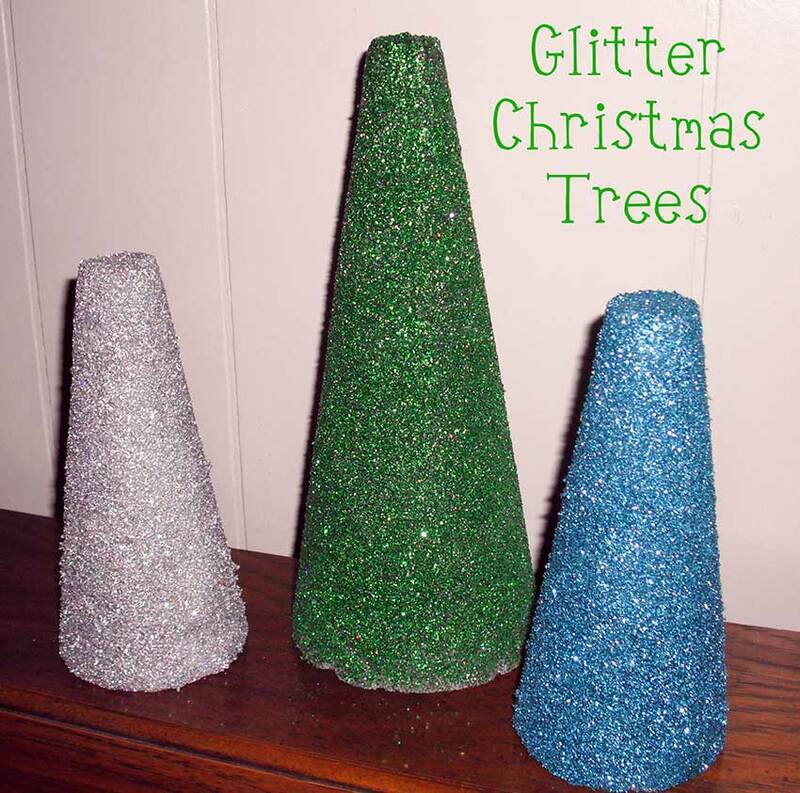 You can also try to decorate your tree or put a star on top, but I like the simple glitter look. We sort of ran out of glitter on the green one. 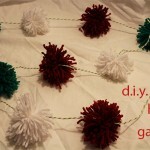 -This craft works best with two people. I attempted the first one by myself, and it was a lot harder. 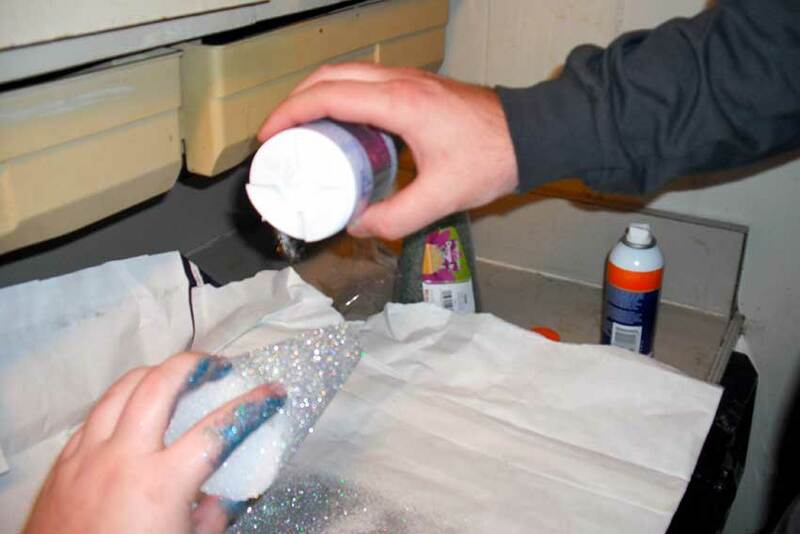 -When you’re using spray glue, keep in mind where you’re spraying it at. 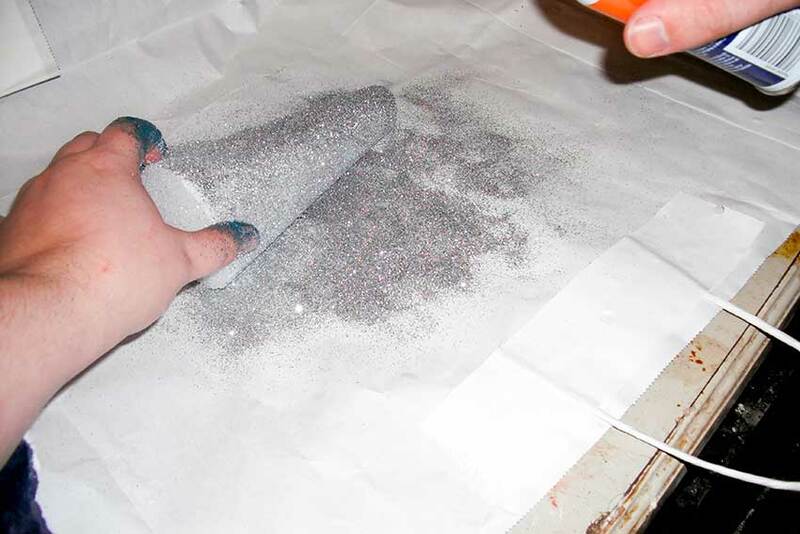 We sprayed glue over the same area we put on the glitter and weren’t able to salvage the leftover glitter because it glued itself to the bag. 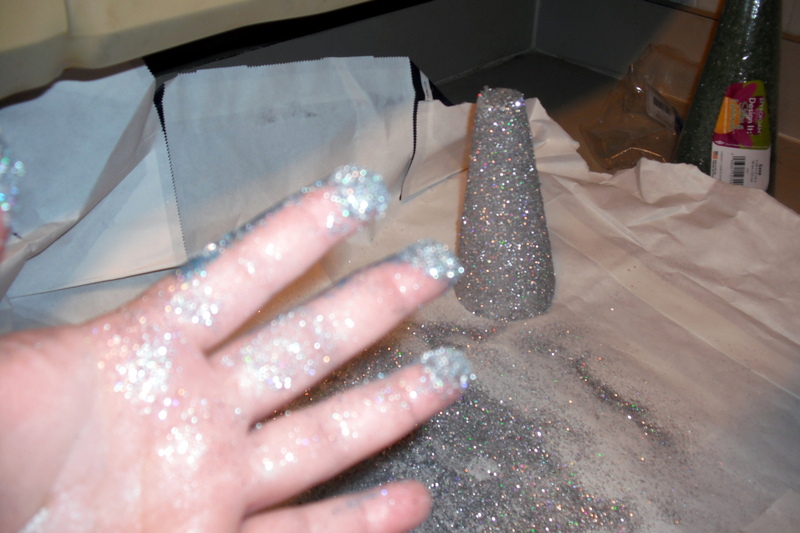 -Prepare yourself for the worst case of glitter fingers. Glitter”. I would love for you to link up this project! 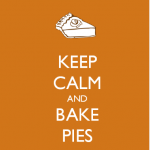 It turned out fabulous!